Snowmen are one of my favorite parts of Christmas! I live in a place where we usually celebrate a white Christmas, along with a white January and February. I love to decorate with snowmen for Christmas because I can leave up my decorations for longer than just a month! 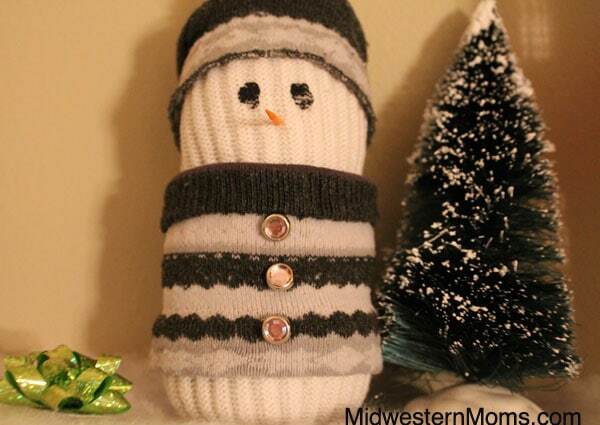 For my project today, I am going to show you how to make a snowman out of a sock! If you would like to visit my inspiration for this project, please visit Then She Made, where I found this amazing tutorial! Step 1: Cut your white sock before you get to the ankle. You will only be using the top part of the tall sock. I used an old sock that no longer has a mate and had quite a bit of pills on it. Because you will be cutting away that part of the sock, you are safe to use one that is holy even! Step 2: Using your rubberband, tie the end of the sock together. 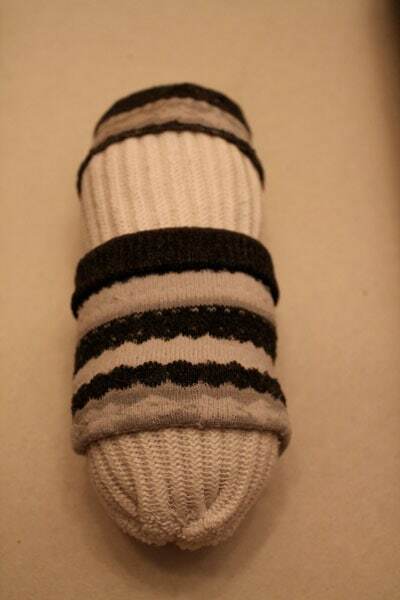 Turn sock inside out. Step 3: Stuff the sock with plastic bags. As an alternative you can use rice, beans or filler. 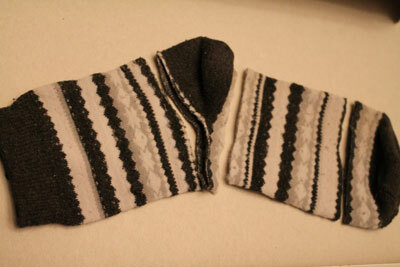 Step 4: Cut the patterned sock before and after the heel. Also cut off the toe. 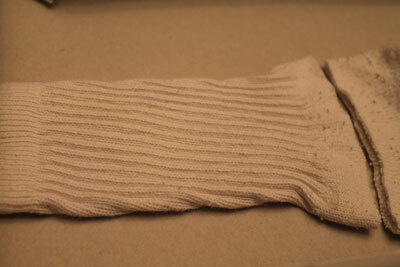 Once again, this is perfect to use an old sock for. The sock I’m using has had many years of life and it’s partner is no where to be found! Step 5: Use part of the sock for the snowman’s clothing and the toe for the hat. Step 6: Add the brads to the snowman’s shirt by simply sticking them straight into the sock. Use a marker and color half of a toothpick orange and insert into the snowman for his nose. For the eyes, I used a q-tip and dipped it in black paint and dabbed on the eyes. 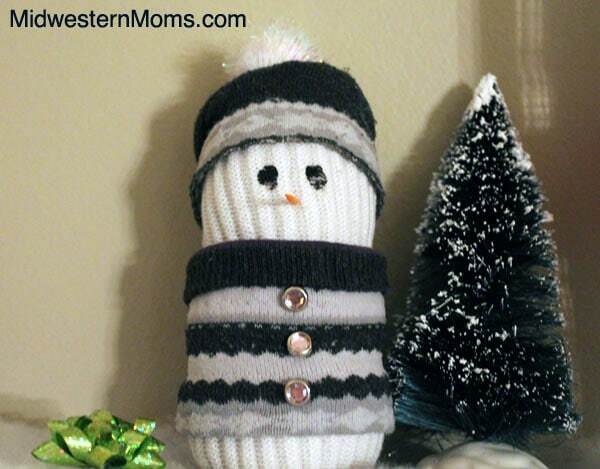 I finished the snowman by adding a pom-pom to the top of it’s hat. I think he turned out pretty cute. I made his eyes a little droopier than normal to go with my country look. He is so cute! 🙂 I <3 snowmen!